I’ve been involved in teaching children and training instructors to teach children for 40 years. I seen martial arts have a huge difference on thousand of kids. Literally life impacting differences. 1. Coordination and motor skills. Kids with good balance and coordination excel in games and sports at a young age. This creates confidence as they are not targets of kids poking fun. 2. Fitness. Everyone needs fitness but not many kids get enough. Training in martial arts builds muscle and burns fat. Kids look better, have more energy and do better at studies. 3. Social Skills. Martial arts classes have constant interaction between kids of all ages. Learning to support others kids, sharing ideas and having fun, expands their circles of friends and makes them more popular with their peers. 4. Over coming disappointments. Kids love to win and do great. They also need to realize that not everything comes easy. They need to work and they need to get over disappointments and set backs in order to accomplish things. Martial arts has built in stumbling blocks that helps with this. 5. Self Defense. We all want our kids to have fun and not be afraid of others. We also want are kids to be safe. Basic self defense skills are important and kids need to gain competence in these skills. We can’t expect kids to stand up to unhealthy peer pressure if they are afraid of confrontations. 6. 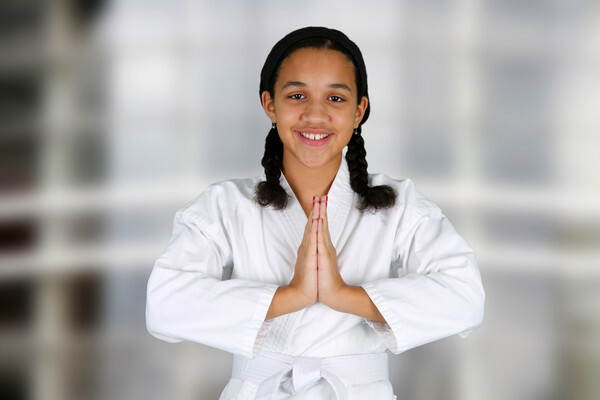 Self Confidence, Martial arts is amazing because kids learn to act confident with a strong posture, talk confident, make eye contact, walk strong and make good decisions. 7. Focus. From day one in martial arts kids learn to block out distractions. They learn to focus their bodies, focus their eyes and focus their minds. Super important in school and home. 9. Courtesy. Number one is treating everyone with respect. Following the Golden Rule starts and ends with every martial arts lessons. TO TRY OUT OUR FREE BEGINNER’S WORKSHOP CLICK HERE TO register, or get more info. CLICK HERE to go straight to our amazing 4 weeks for $$49.00 offer!